The most recent issue for South Korea, North Korea and the world is ‘inter-Korean exchange and peace.’ Peace has been a long-cherished desire for the Koreans, and if the two Koreas can achieve peace, it will end the last cold war in the world. What will handmade do in such a time of change? What would be the social role of handmade? We have set ‘South and North’ as the theme of SIHF 2019. We wanted handmade to bring the South and the North together for communication and wanted to view handmade as an active movement for inter-Korean exchange and peace. Handmade always intends to connect. That is the most essential function of hands. Handmade shall connect the South and the North. Through handmade, the South and the North meet through culture and rearrange their daily lives anew. After all, handmade will not only connect the South and the North, but also connect the world. And the South and the North express the two current shapes of handmade. We intend to review the two-sided nature of handmade, such as culture and industry, creation and business start-up, daily life and creation, etc., and actively seek for solutions for handmade. This floor organization can be changed for smooth progress of the event. 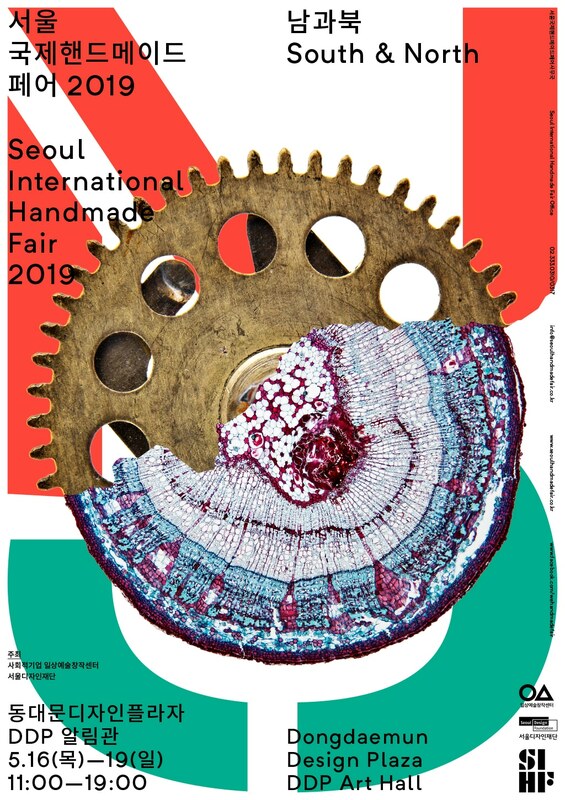 Copyright ⓒ Seoul International Handmade Fair All Rights Reserved.